A damp day at the Curragh didn't deter a field of 29 runners to go to post for the €300,000 Tattersalls Ireland Super Auction Sales Stakes on Longines Irish Champions Weekend at the Curragh. UK runners dominated the race with 16 contenders and it was the in-form yard of Clive Cox with the Red Jazz colt SNAZZY JAZZY that took the lucrative prize of €147,500 for owner Mrs Olive Shaw. Finishing second was the Sarah Dawson trained Pretty Boy Ffloyd and in third was Tom Dascombe's Dragons Tail. SNAZZY JAZZY was purchased by his trainer Clive Cox at last year's September Yearling Sale from Bluegate Stud for €65,000. His half-brother (Lot 352) is catalogued by the same consignor at this year's September Yearling Sale which takes place from Tuesday 19 and Wednesday 20 September with Part II taking place on Thursday 21 September. The September Yearling Sale has gone from strength to strength, not only providing an abundance of winners (to date 122 two-year-olds have won 169 races) but quality winners who continue to forge their reputation on the racecourse. The catalogue for the sale is online and available from the Tattersalls Ireland office. The sale takes place over three days, the first two, 19 and 20 September, is dedicated to the traditional September Yearling Sale and the third day, Thursday 21 September, will host Part II, where the individual will stand out ahead of the pedigree. All yearlings catalogued for the September Yearling Sale and Part II are eligible for the €300,000 Tattersalls Ireland Super Auction Sales Stakes 2018 as part of Longines Irish Champions Weekend. 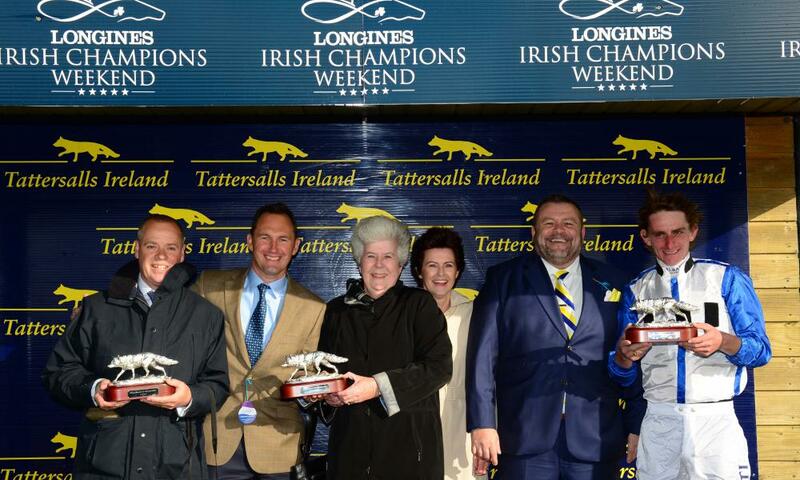 For assistance in attending the Tattersalls Ireland September Yearling Sale and Part II, contact the team at Tattersalls Ireland where we would be delighted to help.